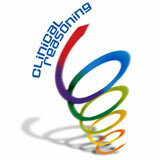 Australian Learning and Teaching Council Project: Examining the impact of simulated patients and information communication technology on nursing students' clinical reasoning (2008-2011). Australian Learning and Teaching Council Project - Interprofessional Education: Enhancing the teaching of medication safety to nursing, pharmacy and medical students (2010-2012). This project is evaluating the impact of a 3D cultural simulation on health professional students' empathy for culturally and linguistically diverse (CALD) people, and investigating whether there is a relationship between cultural empathy and behavioural intentions in relation to culturally competent practice. A mixed methods research design incorporating a quasi-experimental approach, pre-test post-test questionnaires and audio-recording of a group debrief is being used to collect data from nursing, midwifery and medical students at The University of Newcastle. 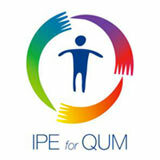 The project involves the design, development, evaluation and dissemination of curricula to prepare students from a range of disciplines in health, in the mental health assessment and management needs of Indigenous Australians and people from culturally and linguistically diverse backgrounds. An innovative virtual teaching and learning resource is being developed incorporating four 'guided learning journeys' and associated course material. For more information please visit: http://flinders.edu.au/nursing/mental-health-and-culture/ or download the pdf: Reshaping curricula (PDF).